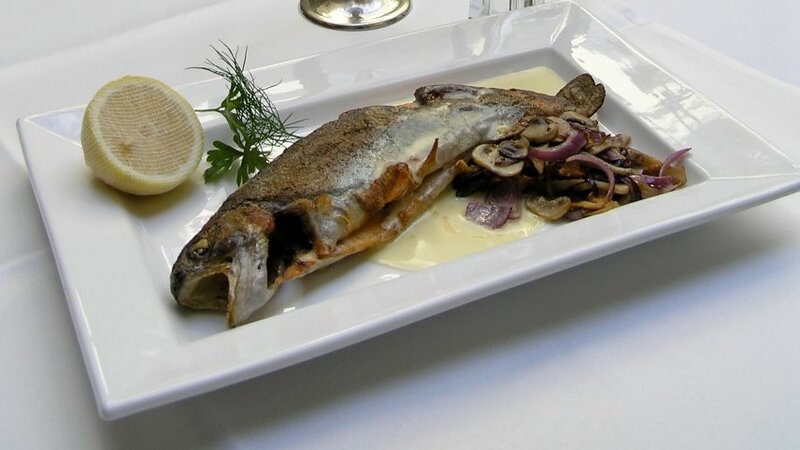 The biggest attraction at Zivju Restorāns Skonto is that your dinner may still be swimming.The name literally translates to fish restaurant, while the Skonto part signifies that it is part of the Skonto empire that includes a football club and radio station, to name a few of its holdings. Skonto was one of the first upscale dining places to open back in 1995. Since then it has drawn a loyal client base with a penchant for seafood, having attracted politicians and heads of state over the years. Still now, it is one of the few restaurants in town that can be classified as a seafood specialist. As the restaurant has been around for so long, the interior does appear a little tired. Yet the most appealing room covered with a glass roof is still attractive, especially as it has two pools with cascading water where we saw freshwater eels, sturgeon and trout not only decorating the place, but waiting to be chosen and eaten. All the other rooms have aquariums, including one with lobsters which you can also invite to dinner. To add to the atmosphere, that the director Gatis Pārpucis told us is best in the evenings, there’s live guitar or harp music on Thursday, Friday and Saturday evenings. The head chef Andrejs Šmatchenko has been at work in Skonto since the restaurant’s conception. He’s constantly learning new tricks as the restaurant invites top chefs, most recently from Scandinavia and France, to freshen up ideas. Along with moving with what’s in season, the menu is frequently updated and fine-tuned. For an appetizer, we recommend the Latvian trout a’ la sashimi (€17). As you can probably guess by the name, it offers the freshness of raw local fish with an Asian twist. Traditionalists can take herring which is spruced up with beet marmalade and a potato parmesan cheese roll topped with farm-fresh cream (€8). There’s also the traditional Finnish salmon soup (€8) that’s so popular, it has remained a menu standard for years. 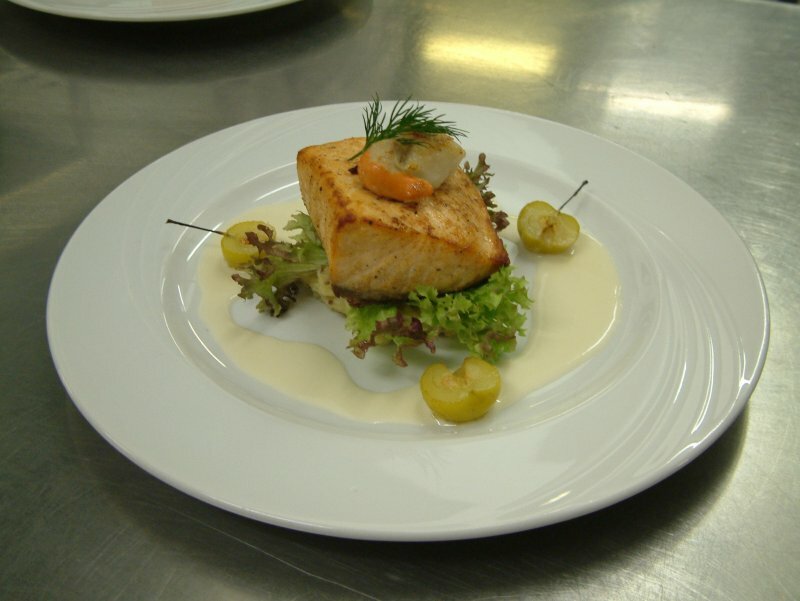 Main meals offer a good range of fish and crustaceans. 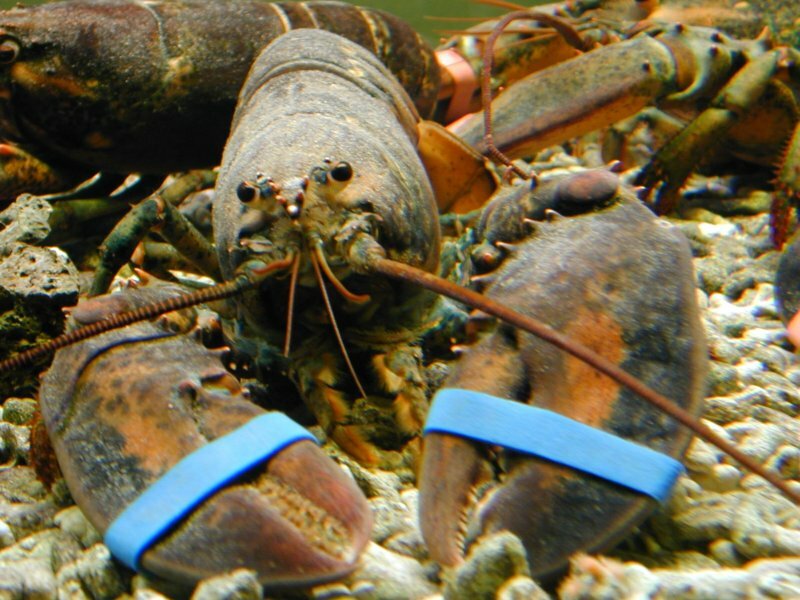 The classic lobster Thermidor has a reputation for being top class, but it also costs top dollar in this part of the world (€98 a kilogram). We decided to go for what’s in the pool which is obviously the freshest you can get. If you want something rich and filling, you can take the eel which is fried with mushrooms, vegetables and passion fruit sauce. The average eel will weigh a kilogram which will bring this dish to €69, but that is large enough to feed two. We tried the Latvian trout (€21) together with the experience of choosing which one would grace our table before long. The chef prepares this as a fillet or whole, and we recommend the latter which retains more of the natural flavor and juices. Simply fried with butter and served with mushrooms and onions, this allows the light flavor of the fish to come out. Naturally, the wait-staff are able to assist you in choosing the right wine with your menu selection. There is a substantial choice from all corners of the globe, especially chosen to compliment seafood. Living in Riga - means always searching for good figh restaurant. I remember SKONTO been here for ages. Now it looks old. Even thogh the fresh fish is there - and it is a rare case in this country. the service is rude those, and slow. And the chef is not with Skonto anymore. Andrey works for Le Crabe since 2009.